Cold Form was invented for ultimate high-barrier protection against moisture, oxygen and light. Apart from the barrier advantages, Cold Form Blisters also add an aesthetic value to the product. The specifications ensure deep drawable cavities ensuring safety of the product. 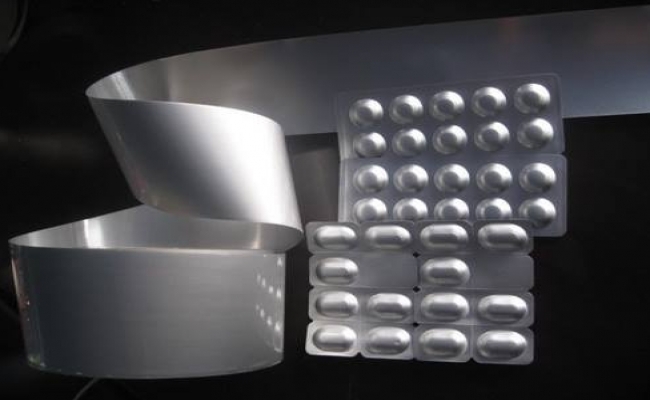 However, the principal advantage of cold form foil blisters is that the use of aluminum offers a near complete barrier for water and oxygen, allowing an extended product expiry date is into the business of Cold Form(Alu Alu) since 2003 & now with over 10 years of detailed study, we have geared up ourselves to produce one of the finest quality of Cold Form (Alu-Alu) Laminates. Alublis The Cold Form under clean & hygienic conditions to ensure consistent quality & maximum mileage to the consumers. Alublis ensures maximum fracture free cavity as well as long term de-lamination resistance. Alublis can also be reverse or surface Colored/Printed ensuring Anti-Counterfeiting options as well as for Branding of your products.